The Saffold ladder has an innovative folding design that provides a secure, permanent secondary fire escape or means of regular access without compromising the security or aesthetic appearance of your building. 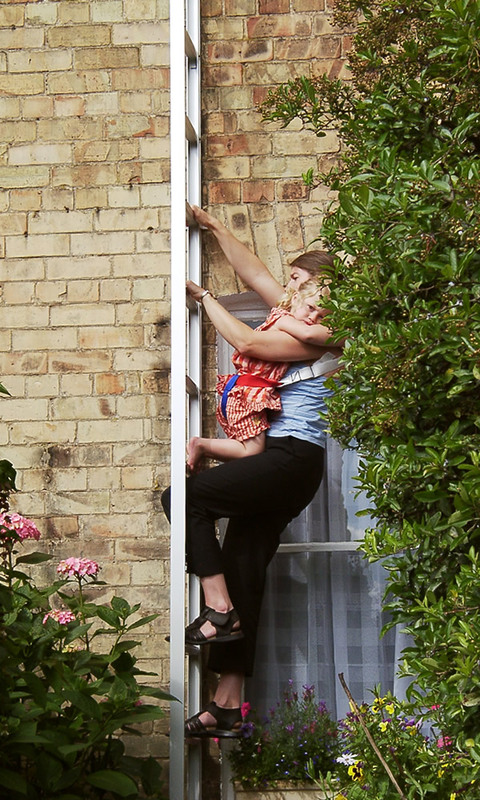 The ladder has been designed to tackle these two very different issues and has a proven track record as both an easy to use fire escape ladder and an extremely effective permanent and safe means of access. 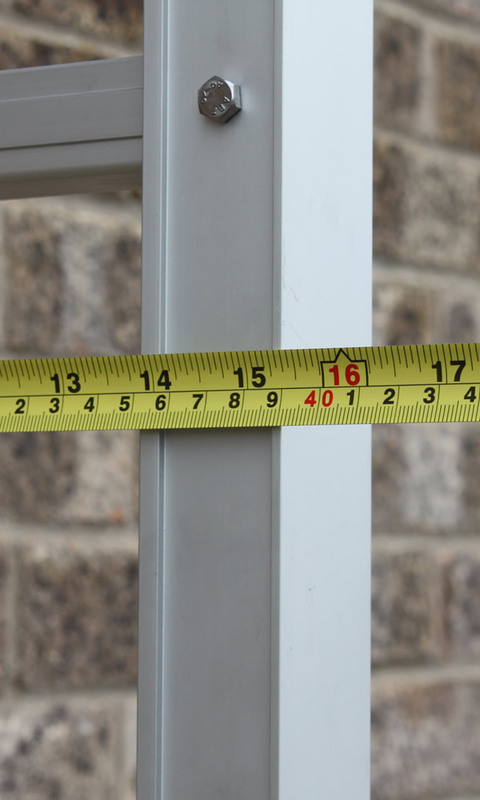 Our simple online configuration system will help you work out what length Saffold ladder you require for your application and order it online within minutes. You can choose between a fire escape or access ladder and add additional security features such as extension handles and keylocks. The innovative folding mechanism of the Saffold ladder allows it to close neatly inside itself when it isn't in use. 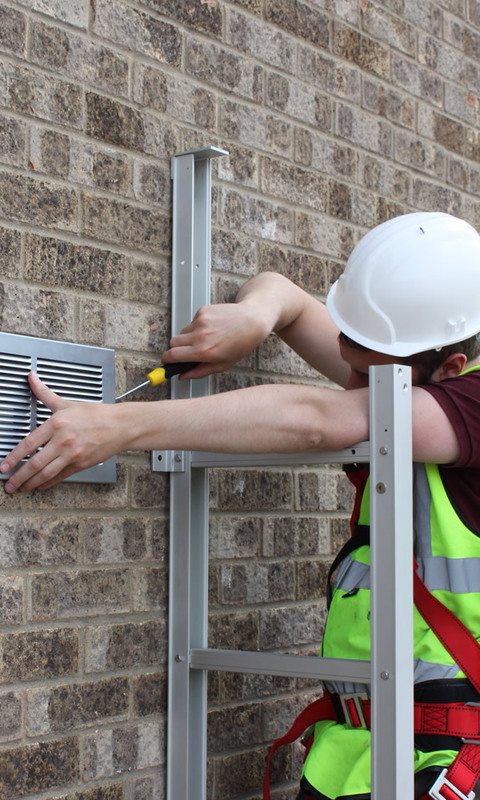 This clever design feature not only ensures that the ladder is secure and discreet but also means that the rungs are protected from the elements. The discreet and low profile design of the Saffold ladder allow it to be installed without compromising the aesthetic appearance of the building. 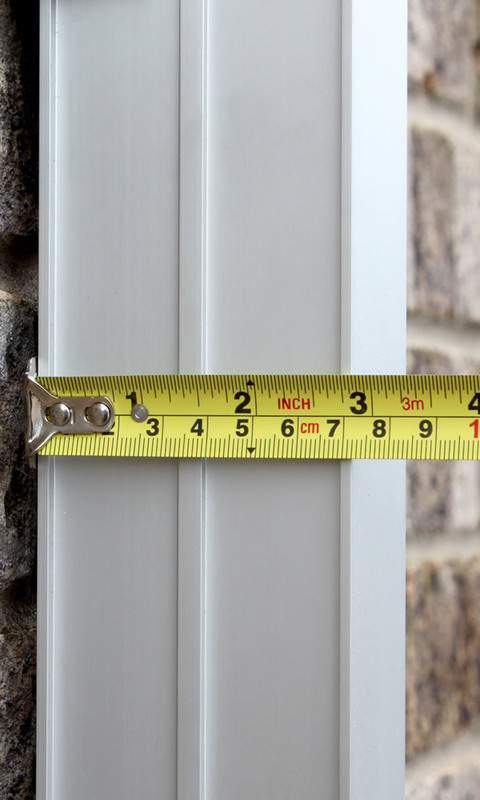 The closed ladder has a profile of 74mm and it's "drainpipe like" appearance helps to ensure that it doesn't draw unwanted attention to itself. The Saffold ladder is assembled using modular sections of 1.5m, 1.8m and 2.7m lengths. This unique design allows the ladder to be made to almost any length, up to 10m, and ensures that we can offer a ladder to suit most applications and requirements. The anti-tamper release pin ensures that the ladder cannot be accessed by unauthorized people and can be fitted at the top or bottom of the ladder depending on the individual requirements for access. 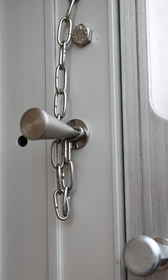 An optional key lock can also be added to add additional security if required. 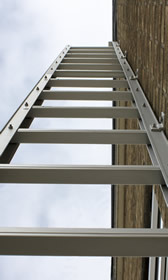 Each rung on the Saffold ladder has a unique anti-slip design that ensures the users safety as they descend/ascend the ladder. 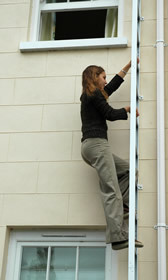 The rungs are concealed inside the ladders profile when the it is closed which provides additional weather protection. 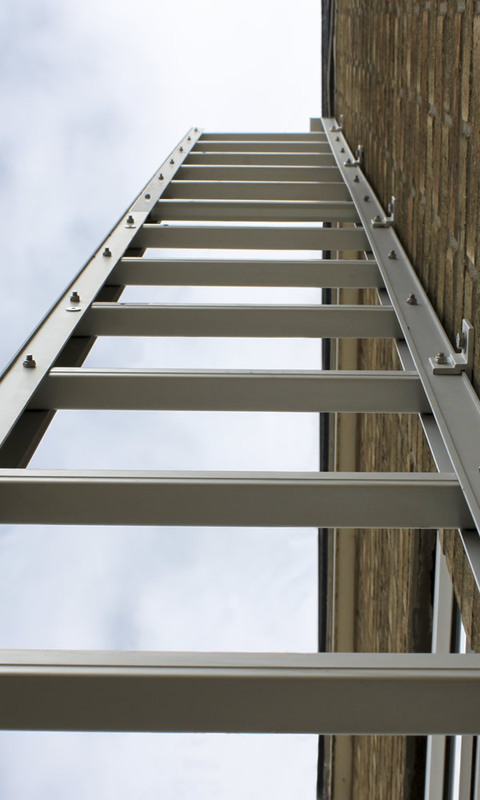 The Anodised aluminium construction and stainless steel fixings mean that the Saffold ladder is able to withstand the harshest weather conditions. This robust construction and the innovative folding mechanism allow the vital components are protected against the elements. Additional release stations can be incorporated into the Saffold ladder to allow it to be accessed from multiple floors, making it suitable for multi-story buildings. If you you would like to purchase a ladder with an additional release station please contact our customer service team. 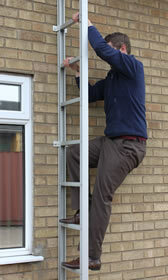 Each ladder is supplied with an easy to follow installation DVD and instruction manual. 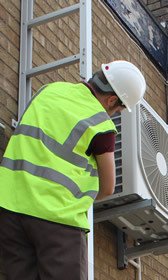 We will also provide all the fixings and drill bits that will be required during the installation process. Our expert customer service team will be on hand to help guide you through the process. The Saffold ladder has been designed and built using the best quality materials and quality controls. 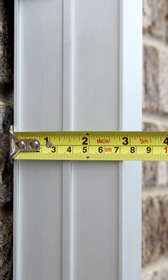 It has been rigerously tested and each ladder section is inspected to ensure it meets our exacting quality standards. 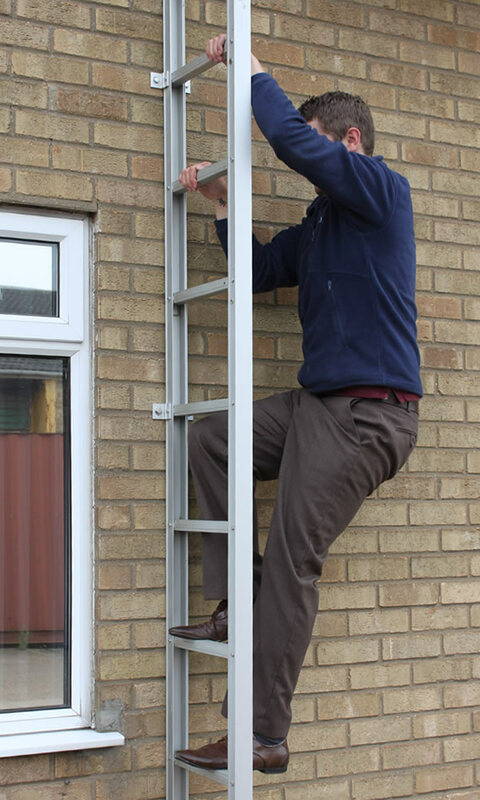 The Saffold ladder has been load tested to BS EN 131-2:2010 by SGS, one of the leading UK certification bodies. It has been engineered to be self-supporting, with each rung adding to the technical load-bearing capacity of the overall ladder. Manufactured to the to the highest standards and using the best quality materials available, the Saffold ladder is built to last. The exceptional quality of the ladders allow us to offer an industry leading 15 year warranty on all of the Saffold ladders, parts and fixings. Saffold ladders are manufactured in the UK under stringent quality controls. Our precision manufacturing processes ensure that every component is made to our exacting standards and delivers optimum performance. 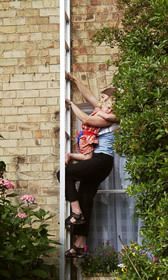 The Saffold fold-out ladder is discreet, compact and easy to use. The innovative design provides a permanent unobtrusive solution as either a fire escape ladder or means of access.